SKU: Western Shims. 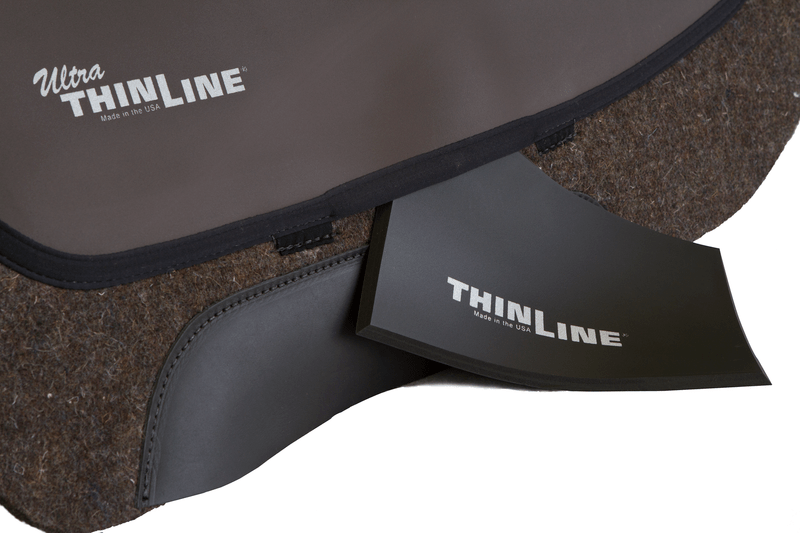 Categories: Shop All ThinLine Products, Saddle Fitting Shims, Endurance Saddle Pads, Western Saddle Pads, Western Saddle Pad Liners, Western Correction saddle pad, Western Work Saddle Pads, Western Horse Tack, Therapeutic Saddle Fitting Pads. Tags: endurance, inserts saddle fit, rounded skirt, saddle fit shims. AMAZING MATERIAL NOT ONLY HELPS SADDLE FIT, BUT PROTECTS AND PROVIDES COMFORT! 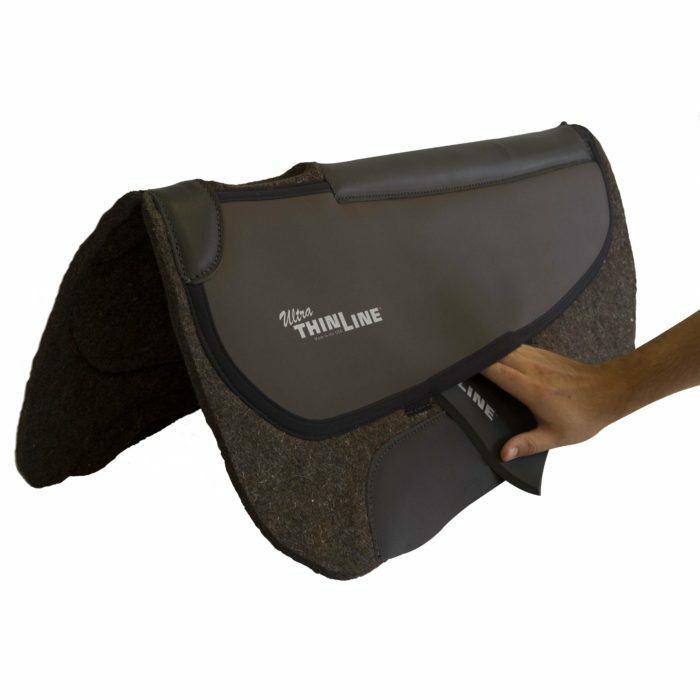 When you see Ultra ThinLine sewn onto any saddle pad, there is a pocket for you to add inserts, also called shims. Inserts are made of our amazing, shock absorbing ThinLine foam. Booster Shims – New full length shim. Turns your ThinLine Panels (3/16″, 4.8mm) into ThinLine + thickness (1/4″, 6.4mm) for added overall ThinLine protection. Saddle Fitter Kits are now available! In the drop down menu, select the pad that you will be shimming. Select the size of your pad. If there is no size indicated on your pad, choose One Size. Finally, choose the Western horse saddle shim style and thickness. Inserts have been carefully designed by Master Saddlers. They are custom cut specifically for each pad with a tapered edge to ensure you will never have a pressure point. Our exclusive foam makes saddles fit better, and horses more comfortable. Inserts stay put without shifting and you may stack up to three sets. We do not divide the pocket, allowing you or your saddle fitter to place the inserts precisely where your horse needs it. 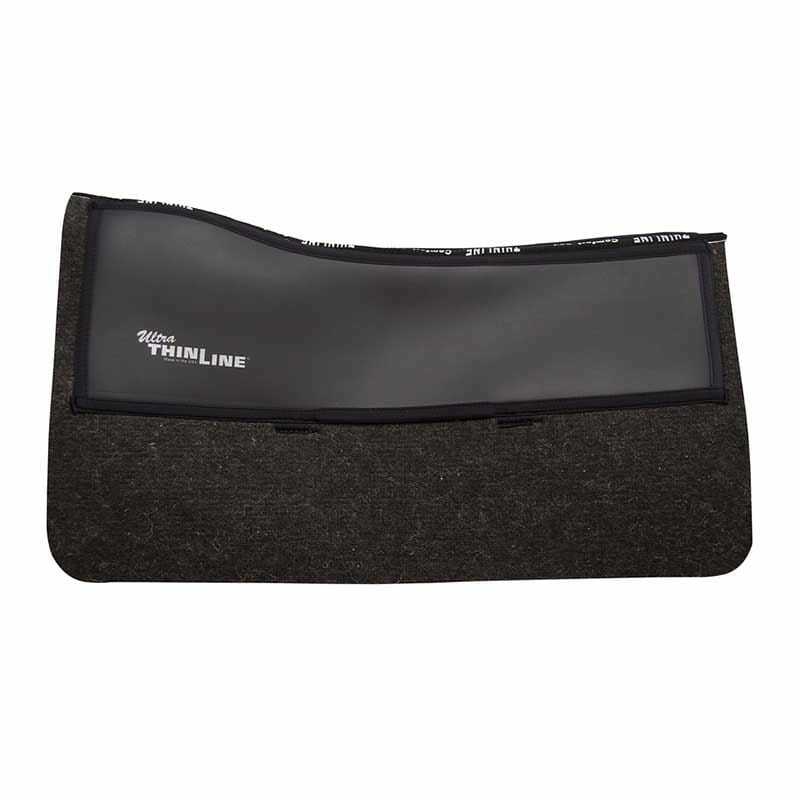 If you find you no longer need inserts, just remove them and keep all the great benefits of your ThinLine Pad! We have a list of saddle fitters on our dealer page if you would like to consult with a specialist. Colors: ThinLine+ shims are available in black only. ThinLine shims may arrive in black, brown or white. Western saddle shims for horses cannot be seen inside your pad, so color is not an issue. 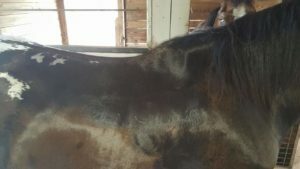 Do I need to call a saddle fitter? Q I am a heavier rider, 6‘2“/210 lbs. My saddle weighs 28 lbs. and is 27 inches long. (Clinton Anderson)(Clinton Anderson) I want one of your pads but I’m very confused because you have too many selections for me to decide. I want one of your pads but I am confused about which one I need. I have considered several pads with two inserts but that might be too much material on my horses back as I want to use my Dixie Midnight pad as a liner. Can you give me suggestions or recommendations? A Thank you for your question! There are many things to consider when choosing a pad: what type of riding you are doing, the size of your saddle, current saddle fit, and personal preference for textiles and styles. Please give us a call at 888-491-9101 so we can better help you select the most suitable pad for you and your horse. We always recommend seeking the advice of a professional saddle fitter to help with saddle fit and shimming.